I may sound biased saying this, but Ecuador is one of the best places for travel. From the Galapagos Island to the Amazon rainforest, there are so many gorgeous spots for you to explore. One of these spots is Guayaquil, the largest city in the country and Ecuador’s most important commercial port. As a guayaquileña, I can assure you that you can’t get bored in my hometown! 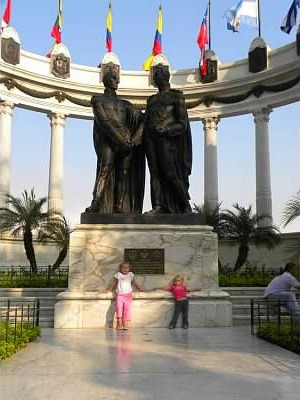 Guayaquil is known as a jump off point to other spots in Ecuador. The city offers so much fun, culture and breathtaking scenery. 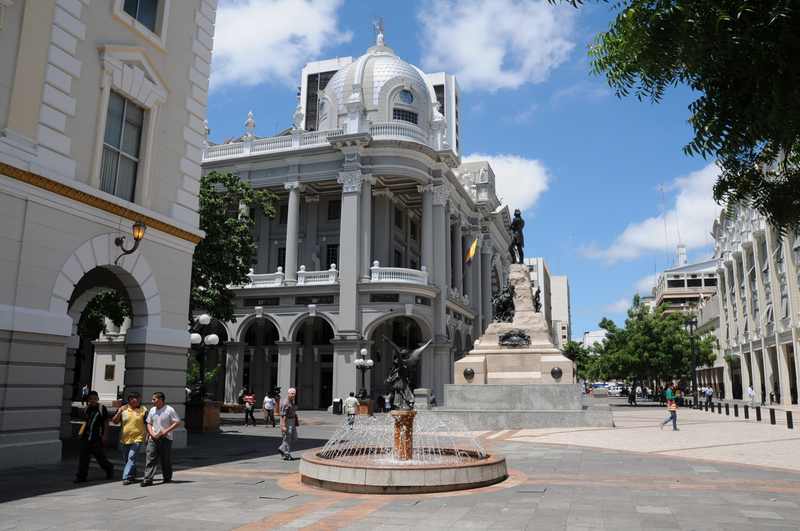 If you are planning to go to Ecuador, Guayaquil is a must- see for travelers. 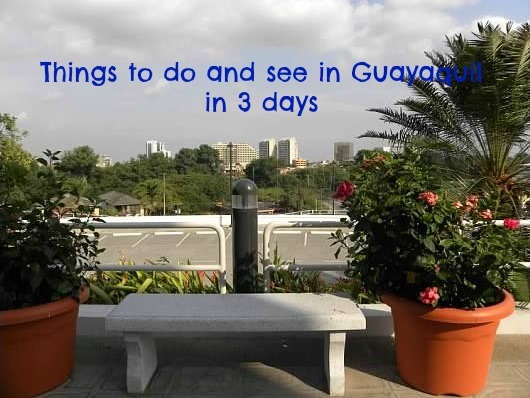 The following is my recommended list of things to do and see in Guayaquil in 3 days. With the exception of The Morgan Ship and a couple of museums, everything else is free. Start your tour visiting Cerro Santa Ana, a hill with colorful colonial houses. This is where the city was first founded in 1547. There are 444 steps to climb to the top of the hill but it may take you a while to get to the top as there are lots of coffee houses, art galleries and artisan shops where you can stop and browse. Once you get to the top, enjoy amazing views of Guayaquil, climb El Faro (a light house), visit a fort, a museum and the Santa Ana Chapel. 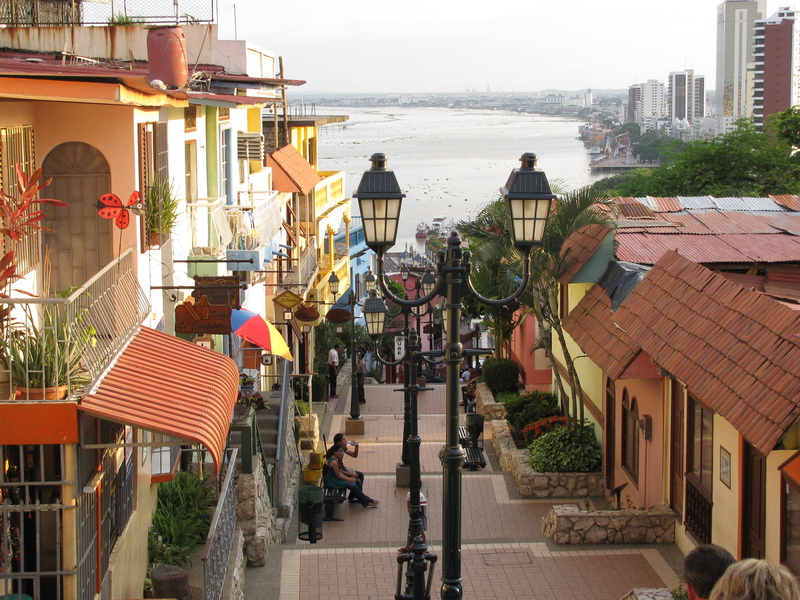 Adjacent to Cerro Santa Ana is Barrio Las Peñas, the oldest neighborhood of Guayaquil and the home of famous Ecuadorean poets and intellectuals. Walk along the cobbled street “Numa Pompillo Llona” and enjoy the beautiful views of restored houses from the colonial times, art galleries and restaurants. The boardwalk between Cerro Santa Ana and the Guayas River is called Malecón 2000, one of the most iconic sights of Guayaquil that stretches 1.5 miles. It is dotted with entertainment, food, gardens, fountains, sculptures and monuments. 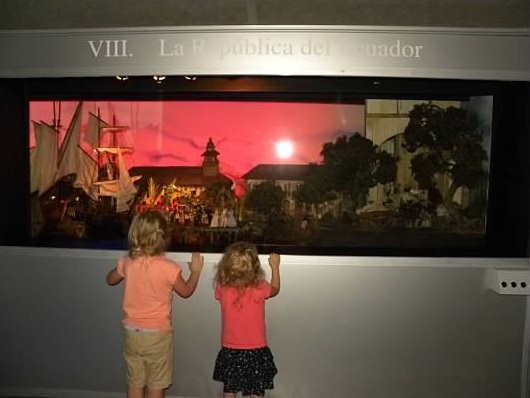 At the northern end of Malecón 2000, visit the Museo Antropológico y de Arte Contemporáneo, the beautiful gardens filled with local botanic species, and Guayaquil City Museum among other things. 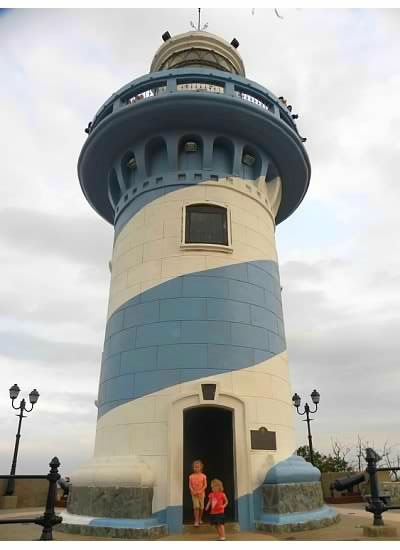 The iconic monument of Guayaquil, La Rotonda, is a stunning piece of art on Malecón 2000 that commemorates the meeting of the two liberators: Simon Bolivar and Jose San Martin in 1822. The beautiful Moorish Clock is also found at this place and is another important monument. The southern end of Malecón 2000, you find a shopping center and the Henry Morgan ship, a pirate ship that tours through the Guayas River and gives you beautiful views of the Santa Ana Port, Las Peñas, Malecon 2000, Santay Island among others. 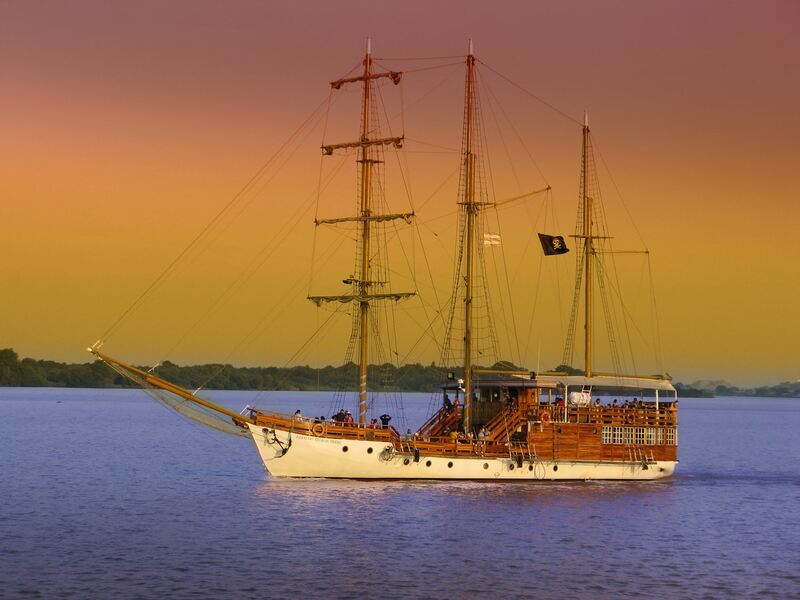 Make sure to get a tour close to sunset (18:30pm) and you’d enjoy an even more beautiful view of Guayaquil. The Morgan ship also has a bar and a restaurant. The city center area is filled with hotels, restaurants, museums, churches, parks and beautiful architectural sites. From Hemiciclo La Rotonda, you can head up to 9 de Octubre Ave and visit Iglesia San Francisco. Adjcent, on Pedro Carbo Ave. and you will find Nahim Isaías Museum, The City Hall and Municipal Palace. 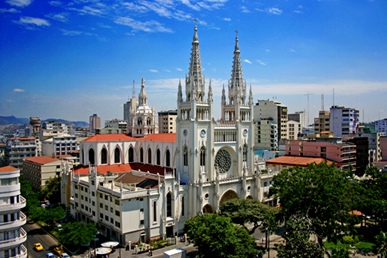 You can also walk to the nearby intersection at Clemente Ballen Avenue and Chimborazo Avenue, and visit Catedral Metropolitana de Guayaquil constructed in a neo-gotic style in the 1930s. Found next to Catedral Metropolitana de Guayaquil. 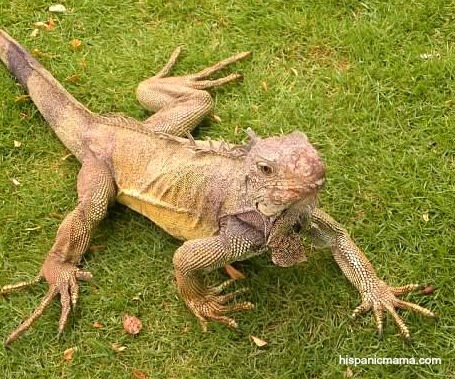 This park has a large number of iguanas climbing around the bushes and trees or walking leisurely on the ground. These friendly animals are not the same marine specie from the Galapagos . They measure around 4 to 5 feet and they usually let you touch them. The entry to the Parque Seminario is free. If you have time, energy and lots of water bottles, my best advice is to head to 9 de Octubre Avenue and walk the avenue. It will give you a glimpse of the life on the most important street of Guayaquil filled with restaurants, business, banks, hotels, etc. Make sure to stop by at Parque Centenario and visit Museo Presley Norton before heading to Malecon Salado, a pier and linear park with large green areas. You can rent rowboats, enjoy the Fuente del Agua Danzante and eat typical food. From the Malecon Salado boardwalk, you can get to Urdesa, one of most popular restaurant and bar zones of Guayaquil. From El Oro Ave., (Guayas River area) you can cross the pedestrian bridge and visit Santay Island, a protected area known for its diverse fauna and flora that features an eco village. You can also get to the island by foot (a 15 minute walk), by renting a bicycle (US$4) or by a small boat (departs from Malecon 2000 by the Yatch Club area). The island is home to 85 bird species, 12 reptiles and a crocodile station. The entry to the island is free. 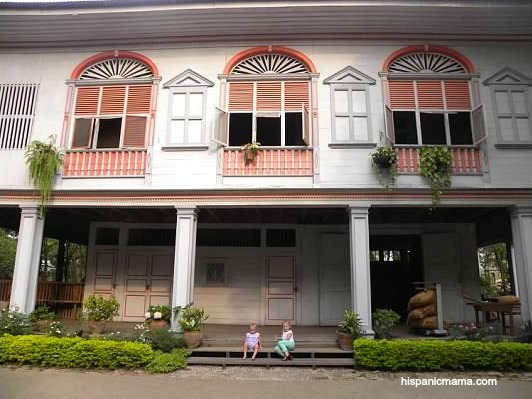 From the city, get a taxi at a cost of $10 and cross over the Rafael Mendoza Bridge to Samborondón and visit Parque Histórico, my family’s favorite place to visit in Guayaquil. Parque Histórico is a gorgeous place where history, culture and nature meet. 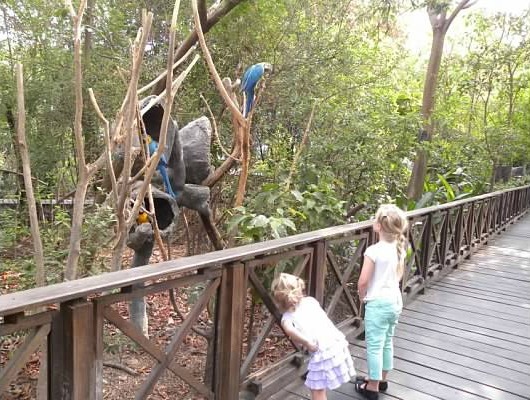 The park is divided into three zones: wildlife (immerse yourself in the natural diversity of the region), urban architecture (features historical buildings from the Guayaquil of the late 19th century ) and traditions (provide an opportunity to learn more about the customs and traditions of this region of Ecuador). You can get English speaking headphones to guide you through the park at a cost of $5 for up to 2 visitors. The entry to the park is free. I am sure you will love my hometown! If you are interested to visit Quito, Ecuador’s capital, check out here for my recommendations! You can also visit my Ecuador Travel Pinterest Board to learn more about my favorite spots in Ecuador.